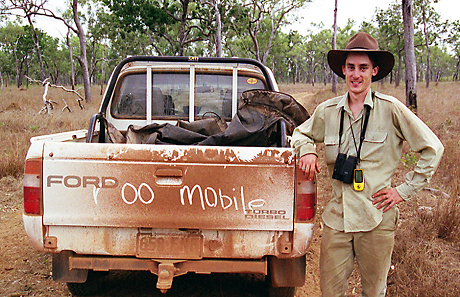 Ten years ago Dr Euan Martin Ritchie and Jen Martin were finishing up four years of fieldwork in some of Australia’s most remote and spectacular habitats. They spent most of the time investigating the ecology and conservation of Australia’s tropical kangaroos and wallabies, collecting first-of-its kind information on four different species (antilopine wallaroo, common wallaroo, eastern grey kangaroo and agile wallaby). They managed to work out how big the populations were and why each species lived in certain areas and not others. Sadly Australia doesn’t have a good track record when it comes to mammal extinctions and it seems like our northern mammals are disappearing (some at alarming rates…..). So this winter, they are going to try and find out how the roos are faring ten years down the track. It’s rare for ecologists to have long-term information like this and returning to northern Australia to continue their work is an opportunity not to be missed. The journey is being crowd funded. You can read more about the project and maybe even contribute to this epic adventure and journey of scientific discovery. Click HERE to get involved or share with friends and help by spreading the word.